S & B Jig Grinding has been providing precision jig grinding of tools, dies, jigs, molds, etc. since 1981. We also make tooling, gages, fixturing, aircraft and aerospace parts complete including material to print specifications. Currently utilizing 8 Moore jig grinders and 1 Moore Fosdick large capacity jig grinder. S & B Jig Grinding has been providing precision jiggrinding of tools, dies, jigs, molds, etc. since 1981. We also make tooling, gages, fixturing, aircraft and aerospace parts. At S & B Jig Grinding, our mission is to provide precision jig grinding at reasonable rates, working within the individual needs of each customer and…S & B Jig Grinding has been providing precision jiggrinding of tools, dies, jigs, molds, etc. since 1981. Our services include precision grinding on Tools, Dies, Jigs, Fixtures, Molds, Keyways, Special Machine Parts, Aircraft and Aerospace Parts, Special Size Tapers and more. S & B Jig Grinding, Inc. Precision jig grinding since 1981. Grinding of tools, dies, jigs, fixtures, molds, bases, special machine parts, etc. 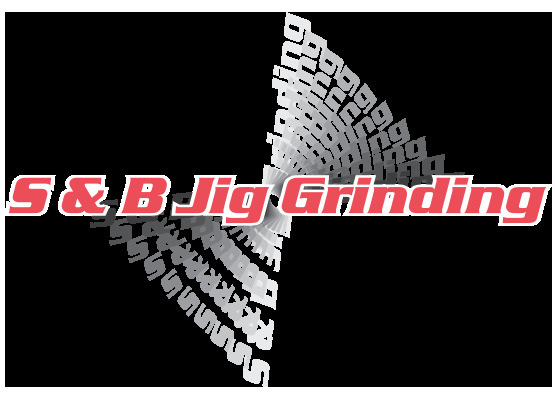 © 2014 - S&B Jig Grinding | All Rights Reserved.